On Sunday, a Minneapolis police officer shot Jamar Clark after, police allege, the 24-year-old continued to interfere with paramedics trying to help an assault victim, according to Fox 9. Clark became brain dead as a result of the shooting, and his family confirmed on Tuesday that they&apos;d taken him off life support. 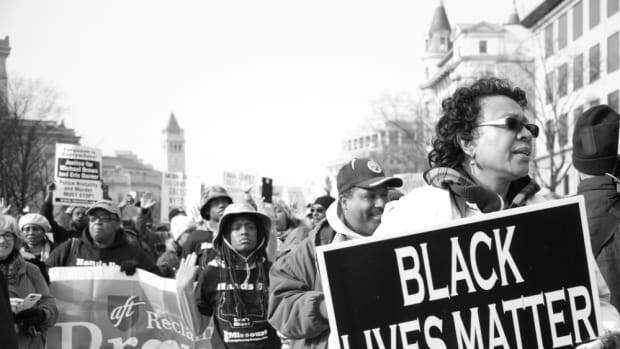 Clark&apos;s case quickly drew the attention of Minneapolis residents, hundreds of whom marched in the streets Sunday and Monday, MPR News reports. 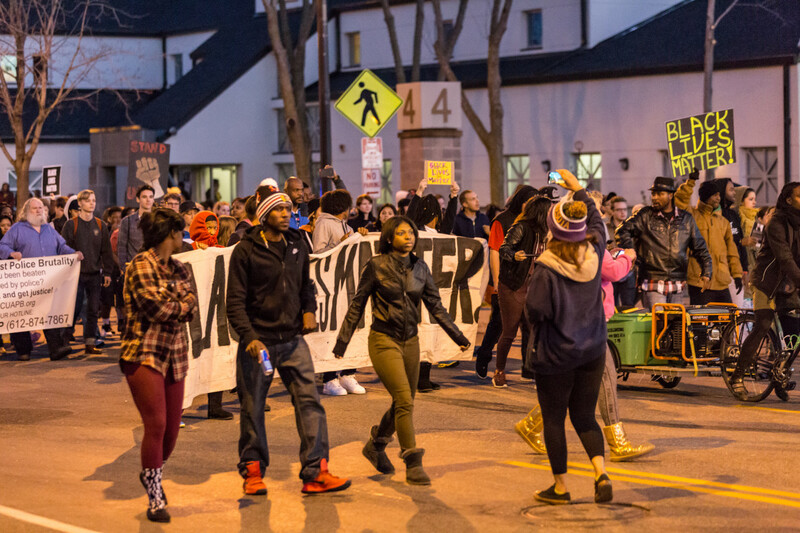 Among the marchers were members of the Minneapolis chapter of Black Lives Matter, who published a list of demands topped by a request that police release security-camera footage of Clark&apos;s shooting, Fox 9 reports. 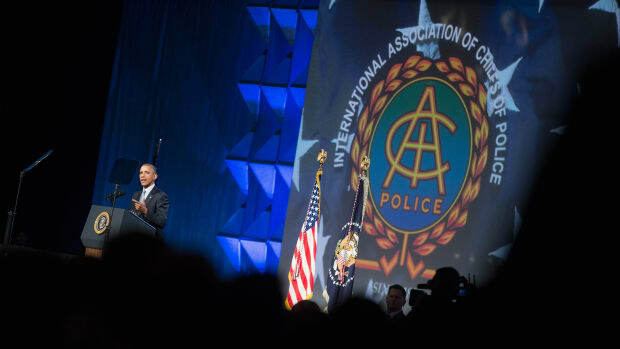 It seems body cameras have made American police departments scarcely more transparent than they were before. Clark&apos;s case tests just how far the United States has come in the past year. 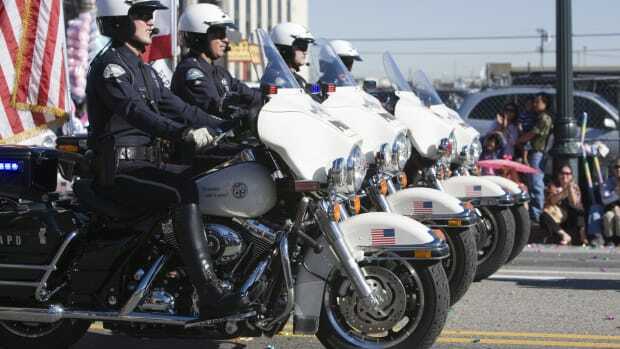 As instances of alleged police brutality have sparked tension and protests across the country, several cities have considered buying body cameras for their officers. The idea is that the video evidence could help clarify disputed police-shooting cases, and increase police-department transparency. 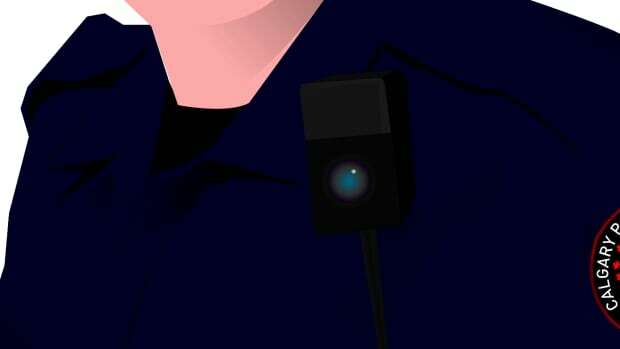 As of September, the city of Minneapolis has been hammering out rules for body cameras, which the police department is expecting to implement next year. But the data shows that things haven&apos;t worked out as well as police camera proponents hoped, and Clark&apos;s case is emblematic of what often happens. The officers who met with Clark weren&apos;t wearing body cameras, police chief Janee Harteau told Fox 9. And police officials declined to release the videos that do exist, from security cameras near the scene of the shooting, MPR News reports. Police officials, for their part, say they don&apos;t want to taint the memories of witnesses for the ongoing investigation. This October, the Washington Post published an analysis of recent police-department use of body cameras. Many of the findings jibe with what&apos;s happening with Clark now. Few police shootings in the U.S. are captured on camera—just six percent of those since January, the Post found. Fewer than half of those recordings were ever released to the public. 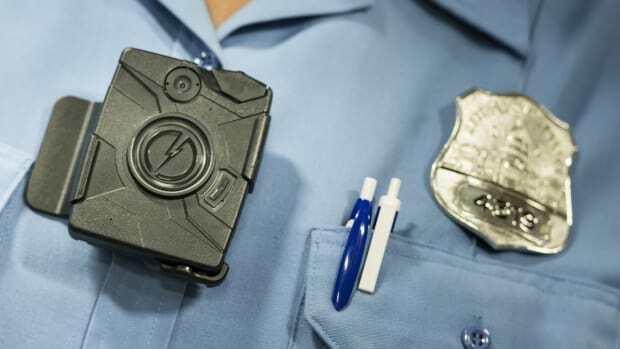 It seems body cameras have made American police departments scarcely more transparent than they were before. The Post&apos;s data also offers a not-so-sunny look at what might be the ultimate fate of the Clark video footage. The Post found "virtually all" the police departments that used body cameras allowed officers to watch the footage before talking to investigators. Other witnesses, however, don&apos;t get the same privilege. This inequity in who gets to see the video is troubling given the research that shows getting another account of a crime scene—such as watching a video—can alter what people think they remember. 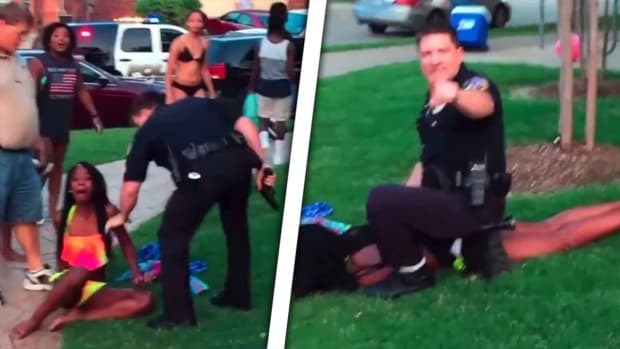 How the Minneapolis Police Department will handle Clark&apos;s footage remains to be seen. The department agreed to a Justice Department investigation, which looks good for transparency and accountability. Publicly releasing the Clark footage and not allowing officers to watch the footage when others can&apos;t would ensure they stay that way. Special thanks to James M. Denton for suggesting Minneapolis as a point of coverage. Last night's fatal altercation between a homeless man and the LAPD prompts many of the same questions regarding police surveillance. Can Bystander Videos Effectively Stop Police Misconduct? An incident at a Texas pool party puts the psychology of surveillance to the test. Body cameras have been cast as a panacea for police brutality, but some experts are skeptical of their effectiveness. Nearly all of the demands have been studied, to some extent. How Do Body Cameras Influence Our Judgment of Blame? A new study finds that people who watch body camera footage attribute less blame to police officers involved in incidents than if those same officers were caught on dash cams.